He is one sick sad F***K.
What's Amoral for? What is the point of him? All he ever does is exploit the missing child he failed to find, burble rubbish on CdM telly, and stir up his cyber-army of hater trolls. Oh, and occasionally scribble dire, lie-riddled potboilers. What a waste of a life! Amoral didn't give a damn about Madeleine McCann, Lily. Did he make any effort to actually FIND her? No, his one aim was stitching up her parents. The British Embassy must have been horrified when they heard that he was in charge of the case, not least because he himself was made an arguido because of his alleged conduct in another local missing child case, only hours before Madeleine disappeared. hey amaral, you are a barsteward. Bonny, I wonder if anyone at the Consulate knows? I should think the consulate has a pretty good idea what happened - and no, it doesn't involve the McCanns. They have no contact with Dr Amaral about his next book, so it must be using other editor. Dumbo hater lets an Inconvenient Truth slip out. Wonder why G & P have nothing to do with their Star Scribbler? Or rather, I don't. Events have revealed that the Gonzo-worshipper appears to be BULLSH*TTING. I am sure they will be impressed by demands from a drug-addled, obsessive, multi-id, fantasist troll like that wretched creature. Why is she writing in English? Haters - too dumb to know when they've been given a polite brush-off. They aren't even asking why G & P have no contact with the porcine-faced perjurer. 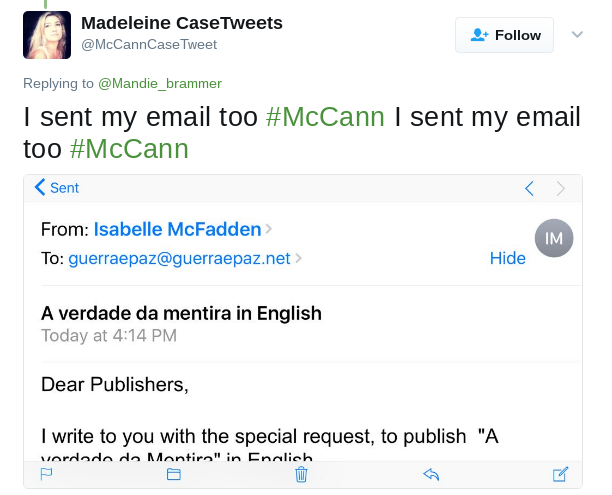 Sources said the proposed book was to focus on Operation Grange, the £10million Metropolitan police probe into Madeleine’s disapperance. Amaral’s first book was published three days after Portuguese authorities closed the inquiry into Madeleine’s disappearance in 2008 and cleared Kate and Gerry of any wrongdoing. The porcine-faced perjurer has always been prone to inventing things that don't exist - fridges death miasma international conspiracies against himself - the list of things Amoral's inventions is endless. Oh, and doesn't that make that hater that claimed to have spoken to G & P look like, well, a bullsh*tter? Not that it's unusual for the Gonzo-worshippers to be bullsh*tters - they take their cues from their idol. IMO. LOL. The Mirror reported the book was going to focus on Operation Grange – the Metropolitan Police’s £10million investigation into Madeleine’s disappearance on May 3 2007. WTF would Gonzo know about Grange? It's none of his business, nothing to do with him. Then-Arguido Amoral was kicked off the case after a mere six months. Six months too late, unfortunately. Didn't PeterMac report the book was being finished in Switzerland or did I dream that? Where does that leave the statement on CMoMM about PeterMac and others working with him and we would have to wait and see with a wink at the end.???? What's going on. It's perfectly simple - it was all BULLSH*T from the hounders - and not for the first time. Once you realise what fantasists these creatures are, all becomes clear. Amoral supporters were told what they wanted to hear - didn't matter if it was true or not. Maybe Gonzo was in Switzerland, for a spa cure for his smoking and addiction, maybe he was discussing Ugandan affairs. Who knows, and frankly, who cares? None of the BULLSH*T has much resemblance to reality. Perhaps, instead of inventing international conspiracies against Gonzo, people might like to take a closer look at the Hounders/Natasha Donn/Portugal Resident/Amoral axis? And take a really, really close look at how often nonsense fabricated by the Hounders has ended up in the MSM via that route? 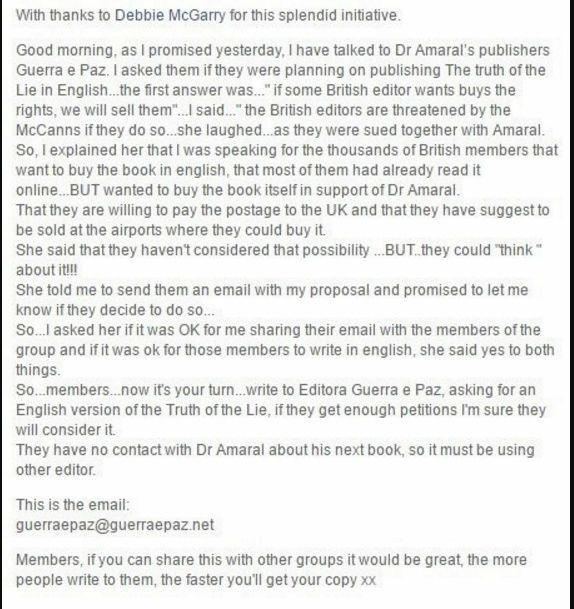 Seeing Amaral's publisher has admitted there is no book, not even a draft, does this mean Amaral has been lying to the press/the world about the book? The porcine-faced perjurer tell fibs? Perish the thought! Mind you, I wouldn't be surprised if some ghastly e-book, ghost-written by Dirtymac, gets churned out to keep his devotees happy, and stop them asking awkward questions. Vile internet trolls have targeted the heartbroken wife of a US tourist killed in the Westminster terror attack, claiming defiant pictures of her battling back from her injuries are fake. Kurt Cochran, from Utah, was mowed down by terrorist Khalid Masood during a rampage on Westminster Bridge and outside Parliament on March 22. Over $80,000 - around £60,000 - has since been raised online for his bereaved wife Melissa, who was left with terrible injuries after the attack which happened while the couple were in London celebrating their 25th wedding anniversary. Sounds uncannily like the McCann-haters' script. He remarks on a mug seen in the photograph which bears the Union Jack flag, laughing as he says: “They’re trying to sell that it’s in England. Yes, just the sort of crap the hate squad spew. 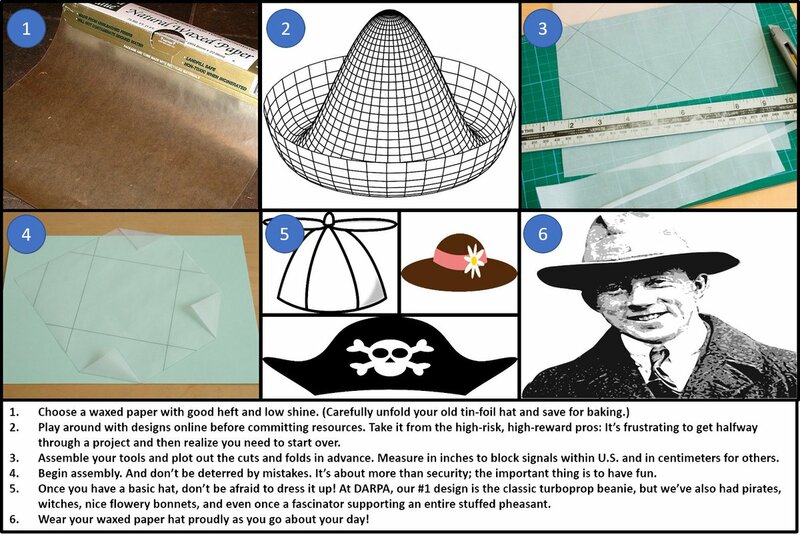 Study shows tin foil offers no protection from thought control, but humbler waxed paper hat has promise. We show you how to make your own. The hatertroll-infested comments are totally lacking in self-awareness. Oh, and Bushmeat Brown has joined in, along with one or two strangely-familiar obsessives. Karen Galley Keep them coming!! Now, what would a real expert think such a sick obsession said about her? What a suitable case for treatment? Oh my! Cadogan really is a NASTY piece of work! As a side note, when you get an email that you think is dubious for whatever reason such as the above, right click on the email and select properties. This is very useful for phishing emails which is why banks and businesses as you to forward it to them so they know where it actually came from. Now, me being me and depending on my mood and what the email was about, will use their real email address and sign them up to all sorts of spam, religious, products, p*rn, even each others email address. Ever get the feeling someone's kinda short of real-life friends, that they get their kicks out of playing sicko games on the internet? She lacks friends and has acquired multiple fake names? Wow, she must be quite the wonderful friend to no one. I can't even begin to imagine what sort of 'mind' takes pleasure in such sick, childish games.